Last week, it was confirmed that I have a small cancer in my T12 vertebrae. This changes everything. My primary (or early) breast cancer is now classed as secondary (or advanced) and as such, it is no longer curable. Instead, the plan will be to slow down it’s growth and stop it from spreading. These are just words and I don’t yet know what they will mean for my health – this year, next year or the ones after that. I have been told that instead of chemotherapy, the treatment is now hormonal therapy. This sounds much milder, but it may be ongoing. Until I start the treatment, the doctors can’t tell me what to expect from it. Everybody’s body is different. For me the greatest challenge with this news is to accept that I no longer have any certainty of the future or of my health. I may not know how I will feel today, tomorrow or next week – emotionally or physically. I will need support from my partner, my family and my friends. For someone who likes to do things for myself, this is really hard, but I am learning. I know I will be in your thoughts and that lots of good vibes are coming my way. I might need to bottle them and save them up for another day. 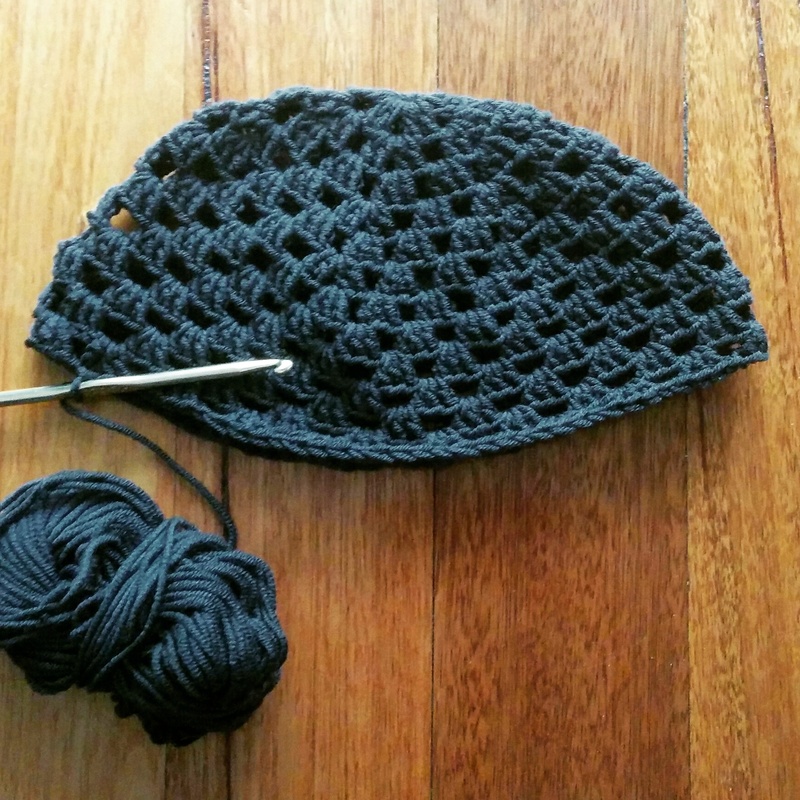 I’m working on a crocheted beanie for myself – a chemo cap. As it turns out I have another week to finish my beanie… chemo has been postponed. I have one more test to do and then I can begin. This gives me some time to rest, crochet and watch more of RuPaul’s Drag Race!! I’ve been lusting after the colourful woven wall hangings that have been turning up on social media. The problem is that many are simple weaves with the focus on the fringing, the yarn and colour. As much as I love these, I always feel like I should try to do a version, but with knitting or crochet? As I had such good feedback via Instagram and Facebook to my brown and blue cowl, I wanted to make another version of it, but simplifying the number of yarns used. 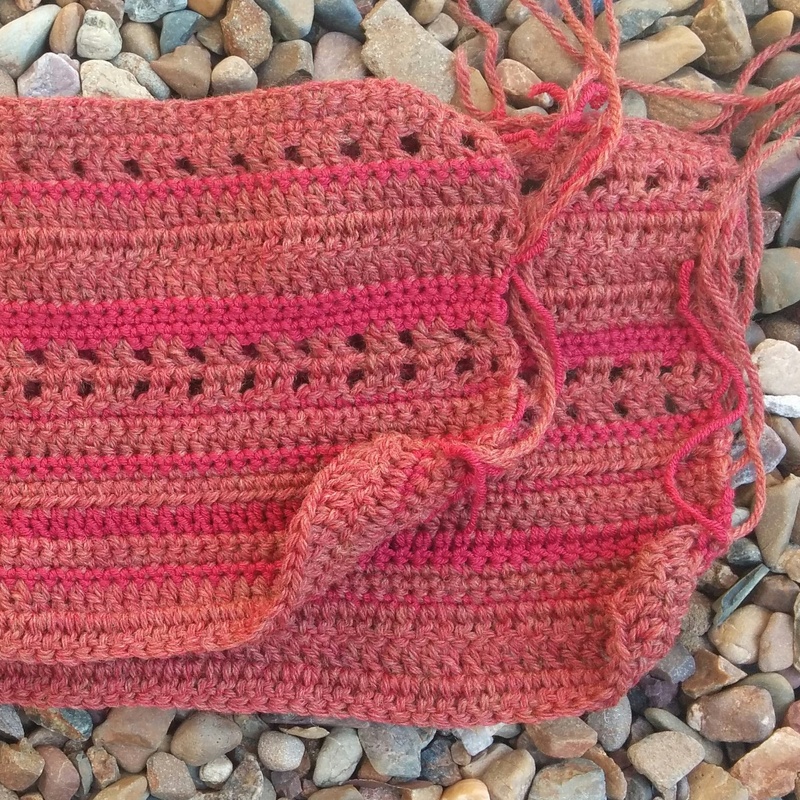 For this version of the Crochet Cowl, I used Rustic 8 ply (100% wool, shade 985 Sienna) from Bendigo Woollen Mills and Silky Merino DK 8 ply (90% wool/10% silk, shade 0111 Brick) from Adorn Yarns (available at The Wool Baa). I really like the combination of tweed being matt with small flecks and the wool/silk blend being shiny. These colours sit really well together. I still have a few cms to go before it is finished, but it’s a great project to travel with and it stays interesting as every few rows the stitch changes. Probably a good second project for someone who has just started to crochet. There is enough stitches to practice and perfect as you go across each row with enough variation to not get bored.